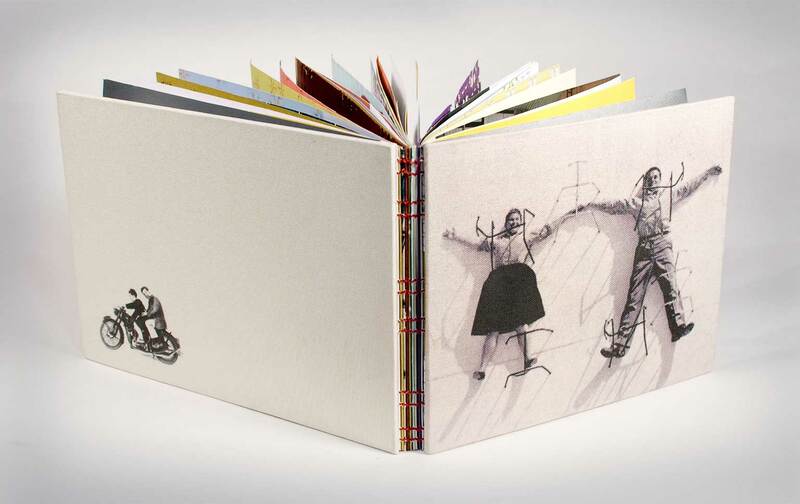 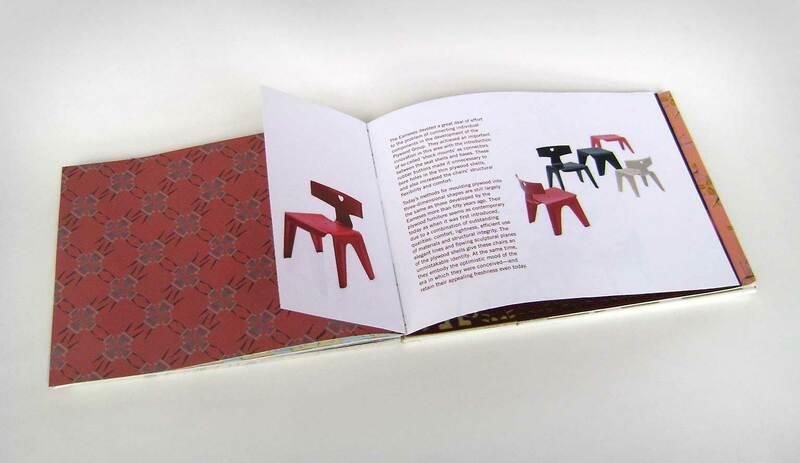 Handmade book featuring patterns created with the chairs of Charles and Ray Eames to showcase their products and advertise Mohawk paper. 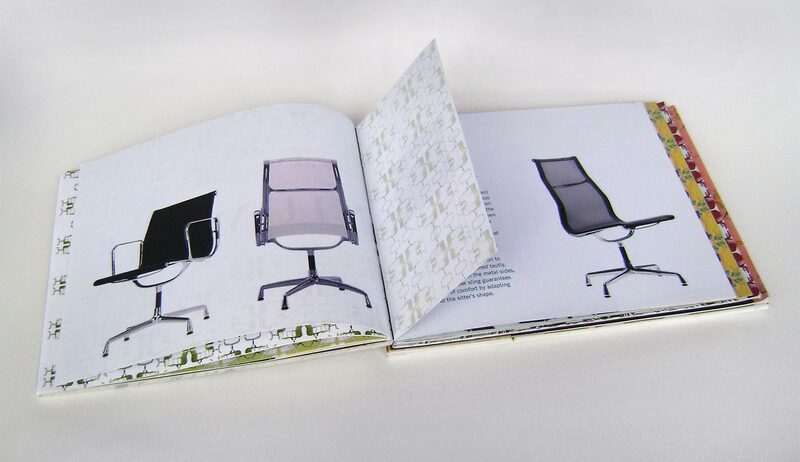 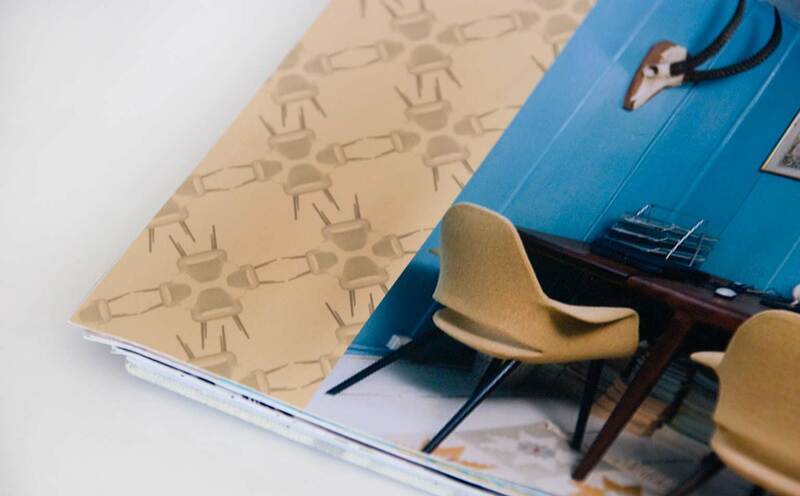 Just as Eames’ furniture is made from a variety of materials such as wood and aluminum, the book is bound with multiple paper stocks that include both printed and laser cut patterns. 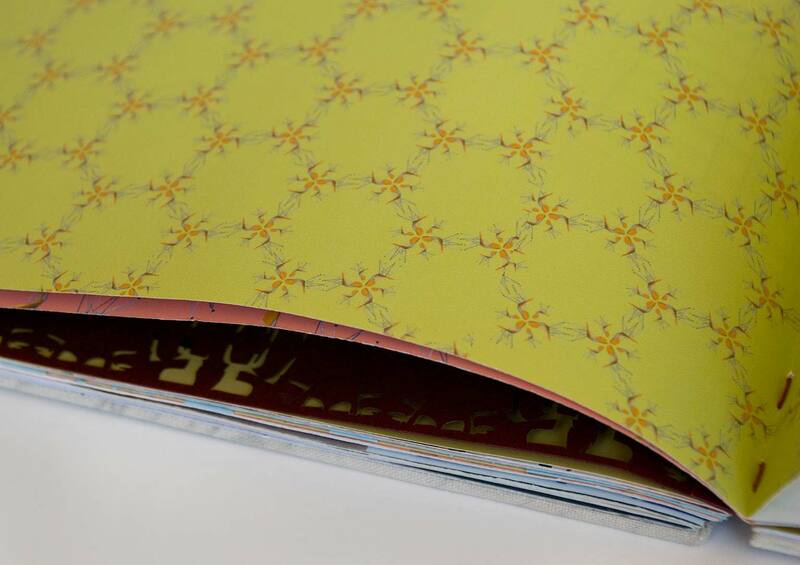 The result is a playful homage to textiles and textures.